Big Tree, Small Space...No Problem! 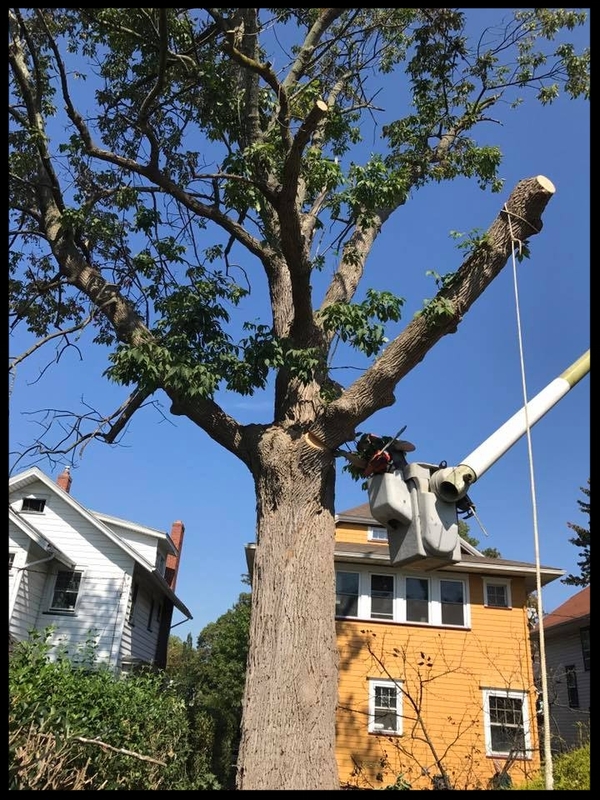 "They really did an amazing job on a technically challenging job, dropping a 60 ft ash tree in an area of my back yard measuring only about 30x8 feet bordered by a hedge, flower beds, two garages and a house. All structures were untouched and even the flowers and hedge were in pretty good shape. All done in the scheduled two days." "I cannot believe the difference this has made in my back yard! I cannot thank you both enough! I will definitely call you for future tree jobs! Very, very pleased!! Thank you! Thank you! Thank you!" "JT's Tree Service is the best by far. Very professional and pleasant to work with. Took a tree down and had to work between power lines which was no problem. Had the stump ground. When done there was not a branch to be found lying around. They came when they said they would and done when they said they would be. The price was great-we did get other quotes and theirs was most definitely the best price. Always get a quote from JT's. Thanks guys for a job well done. Will use you again.